The event started off with breakfast and brief introductions as participants signed in for the day. Eleonore and Mai, CAAR core coordinators, opened up the workshop by also sharing CAAR’s history, Line Break Media’s history, going over the day’s agenda, goals and laying down ground rules for discussion. After the introductions, the group began to delve right into the first group discussion. Led by Eleonore and Nehwoen, a slide show presentation displaying real life social media examples from the internet were shown to the group. The PowerPoint presentation included examples such as Facebook conversations and comments, public tweets from personal accounts, and problematic photos. The workshop’s participants were asked to pull themes from each example shown. The themes generated covered a wide range and included items from cultural appropriation to reverse racism and can be viewed here. Following large group discussion, participants took a quick break to grab lunch and were then separated into smaller groups for further discussion. Each group was given the task to generate effective and ineffective responses to the different themes on the list created from the prior conversation. The themes pulled from the list were: White Saviors/Good White People, Shut down/Derail Conversation, Cultural Appropriation, “Talking about Racism is Racist”, and Dehumanizing. The small groups brought their findings back to the large group to present the different ways to respond to problematic comments and photos within in each theme. Small group generated responses can be found here. Next, the group was presented with supplemental tools to go along with the newly shared advice from the small groups. A flow chart was shown to the group displaying different questions to think about before responding to a problematic post. The flow chart provides great starting points for responding but it must be stressed that it is a living document and can be changed to adapt to each situation. Along with the flow chart, the hashtag #IKTIRAINH, “I know this is racist and I need help” was shared for use on Facebook and Twitter as a way for participants to signal for assistance and also help those who may be feeling stuck on how to respond to an offensive post. In addition to the flow chart and hashtag, a variety of memes and .GIFS were also presented to the group for use to offer a more humorous way to respond to social media posts. To end the day, Mai, on behalf of CAAR, thanked the group for their attendance and announced the next CAAR hangout on November 20th, 2014. The group also shared their opinions on the workshop and what they had learned. 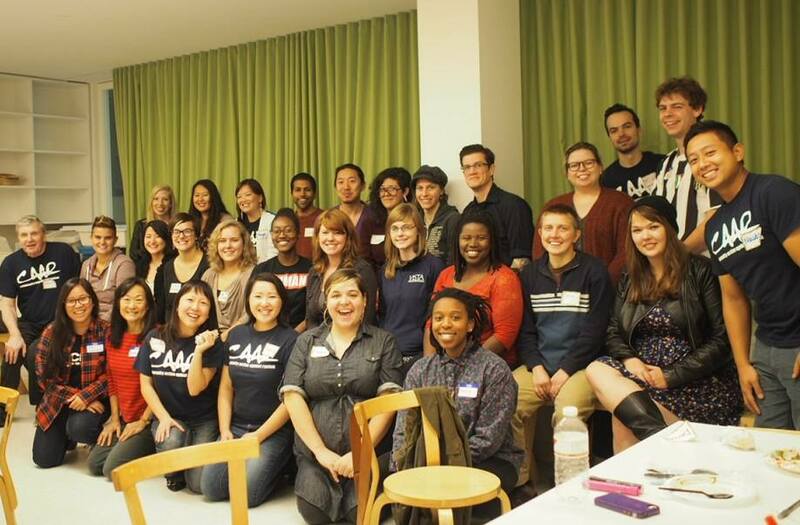 The workshop wrapped up with a photo of everyone that came to support CAAR and participate in the workshop. Thank you to our amazing volunteers who helped to make this event a success – Maivncais Her, John Kostishack, Margie Andreason, Mischa Kegan, Sandy’Ci Moua, Eleonore Wesserle, Nehwoen Luogon, Nawang, and Sarah Valli. Again, thank you to all those that came out to the “Responding to Racism on Social Media” workshop and also to those that couldn’t make it but have and continue to support the work of CAAR.